Are you interested in serving in parish ministry? Check out the list of ministries below and contact the parish office if you’re interested in learning the next steps! 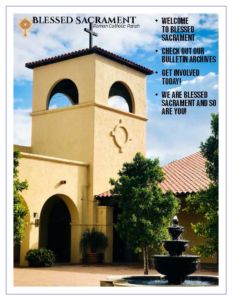 For Bulletin Archive click here. For full-page calendar click here.